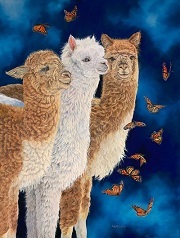 Collection of Alpaca Paintings and Alpaca Art that is created on a variety of painting mediums by Artists around the World. 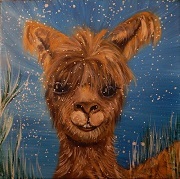 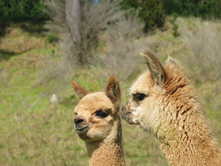 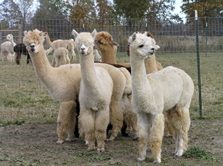 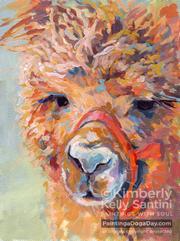 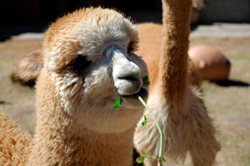 Do you have an Alpaca themed painting that you would like to either display, promote or sell on our Alpaca Pictures Web Site? 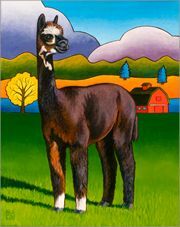 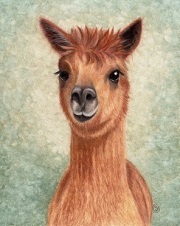 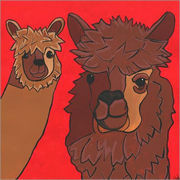 If so, please contact us with information on the Alpaca Painting that you would like to include on our Alpaca Pictures web site. 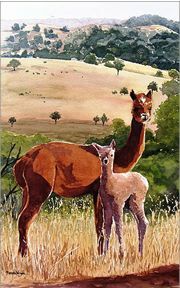 Artists who paint Alpaca Watercolor Paintings - Artists who have created Alpaca artwork on other mediums should contact us well.